Born: 28 January 1785, Copenhagen, Denmark. Died: 28 April 1854, London, England. Nathaniel Wallich, physician and botanist, was the son of the Jewish-Danish merchant Kobmand W. L. Wallich and his wife Hanne Jacobson. He passed the entrance examination of the University of Copenhagen in the autumn of 1801 and the next year started studying veterinary science, but subsequently switched to medicine and surgery. He was particularly keen on botany, which formed part of his medical studies. After graduating as Doctor of Medicine (MD) in the spring of 1806 he was appointed to the medical service of the Danish East India Company and posted to the Danish settlement Serampur, just north of Calcutta (now Kolkata) in the north-east of India. By this time he had already converted to Christianity. When Serampur fell into British hands in 1808 he remained there and was appointed assistant surgeon in the English East India Company's medical service in May 1814. However, he was more interested in botany than in medicine and in March 1809 became assistant to the director of the East India Company's Botanic Garden at Calcutta, William Roxburgh*. After Roxburgh's retirement Wallich became acting director of the garden in 1815 and received a permanent appointment as director in August 1817. He obtained plants from many regions of Asia, even those inaccessible to Europeans, by means of local collectors and sent many consignments to England and Denmark. Whenever circumstances allowed he also collected plants himself and described many new species. In 1820 he went on a botanical exploration of Nepal, leading to the publication of his Prodromus florae Nepalensis (London, 1825) and Tentamen florae napalensis illustrata (Calcutta, 1824-1826), which contained descriptions and illustrations of selected Nepalese plants. In 1825 he inspected the forests of western Hindustan. The next year he accompanied the governer-general of India, Lord Amherst, to Burma, and collected in its forests; and in 1835 he was the leader of three botanists sent to Assam, where they discovered the wild tea shrub. Upon their return he published "Discovery of the geniune tea plant in upper Assam" in the Journal of the Asiatic Society (1835). Wallich married Juliane M. Hals on 30 May 1812, but she died two months later. In 1813 he married Sophia Colling, with whom he had at least three sons and four daughters. One of their sons, George C. Wallich, became a distinguished oceanographer. In 1828 the elder Wallich returned to England on sick leave, bringing some 8000 plant specimens with him. During the next few years he completed his most important work, Plantae Asiaticae rariorum (London, 1830-1832), each of its three volumes containing descriptions of selected plants and 100 coloured plates. 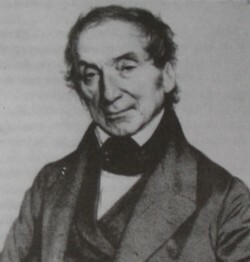 In recognition of his contributions to botany he was elected a Fellow of the Royal Society of London (1829), the Linnean Society (1818), the Royal Society of Edinburgh, and the Royal Asiatic Society. In Denmark he was honoured as a Knight of the Order of Dannebrog (1818) and a Fellow of the Royal Society of Copenhagen. In 1841, and probably earlier, Wallich taught botany at Fort William College, Calcutta. In August 1842 he came to the Cape for health reasons, remaining for twenty months. Later he described this period as the happiest time of his life. During his stay he met other botanists and plant collectors, including C.W.L. Pappe*, C.L.P. Zeyher*, C.F. Ecklon*, and Baron C.F.H. von Ludwig*. In 1844 he asked David Livingstone*, who was then at Lattakoo (near Kuruman), to collect edible plants with which he could experiment in India. His letter to Livingstone, containing instructions on how to pack the bulbs and seeds, was published in the South African Commercial Advertiser. At this time Arabella E. Roupell* and her husband were also at the Cape. Wallich saw her excellent paintings of Cape flowers and when he left India in 1846 visited the Roupells in Madras and took some of her paintings to England. The resulting publication, Specimens of the flora of South Africa; Cape flowers by a lady (London, 1849) was dedicated to Wallich. His best friends at the Cape, however, were Thomas Maclear*, astronomer at the Royal Observatory, Cape of Good Hope, and his family. From January to June 1843 he accompanied Maclear and the latter's assistant, William Mann*, on an expedition to the north across the Oliphants River and to the Cedarberg, collecting plants while Mann attended to his survey work. In September that year he accompanied Judge W. Menzies of the Circuit Court on a tour of the eastern districts, visiting various towns from Beaufort West to Uitenhage, but travelling too fast to collect plants. In Uitenhage he met the plant collector Joachim Brehm*, while in Grahamstown he saw the collection of Karoo fossils exhibited by Andrew G. Bain* and encouraged him to send it to the Geological Society of London. He left the Cape for India on 30 April 1844. In a letter to Thomas Maclear shortly after his return to Calcutta Wallich strongly supported the establishment of a botanic garden in Cape Town and promised that he would supply it with plants from India in return for Cape plants. He retired from the Bengal Medical Department with the rank of major in April 1846 and returned to England, settling in London in November that year. With the botanist George Bentham he classified the unsorted portion of the East India Company's herbarium, collected mostly by himself. This herbarium, with other plants supplied by him, is housed at Kew Gardens, while duplicate sets of his plants can be found in several European herbaria. He was elected vice-president of the Linnean Society in February 1849 and served as vice-president of the Royal Society during 1852-1853. Altogether he published some 21 botanical papers, mostly descriptions of new and rare plants. With W. Carey he edited and expanded Roxburgh's posthumous Flora Indica. He was one of the leading botanists of the early nineteenth century. A genus of Indian palms was named Wallichia in his honour by Roxburgh, while W.H. Harvey* named the poisonous Karoo plant Cotyledon wallichii after him. T. Maclear and W. Mann found him to be an intelligent, well-informed and kind person. Bradlow, E. Nathaniel Wallich: A man for all seasons. Quarterly Bulletin of the South African Library, 1998, Vol. 52(3), pp. 96-108. Kennedy, R.F. Geology is Africana. Africana Notes and News, 1970, Vol. 19(1), pp. 3-11. Richings, F.G. Mrs Arabella Roupell and her "Cape flowers". Quarterly Bulletin of the South African Library, 1972, Vol. 27, pp. 4-14. South African Commercial Advertiser, 24 April 1844, p. 2, Botany; 8 May 1845, p. 2, Botanic Gardens; 6 September 1845, p. 2, Botanic Garden.